Meriva-SF is a well-absorbed, sustained-released curcumin formula. Meriva is the most clinically studied curcumin on the market with 29x greater absorption than ordinary curcumin. Meriva helps maintain a healthy inflammatory response throughout the body. Meriva-SF (sustained release) provides relief from occasional aches, joint stiffness, and muscle soreness. Used in Asia for thousands of years, curcumin is a potent antioxidant that offers multiple health benefits, including support of joint, liver, GI, eyes, and cardiovascular function. Normally, however, curcumin is poorly absorbed in the bloodstream, whether it comes from food or nutritional supplements. 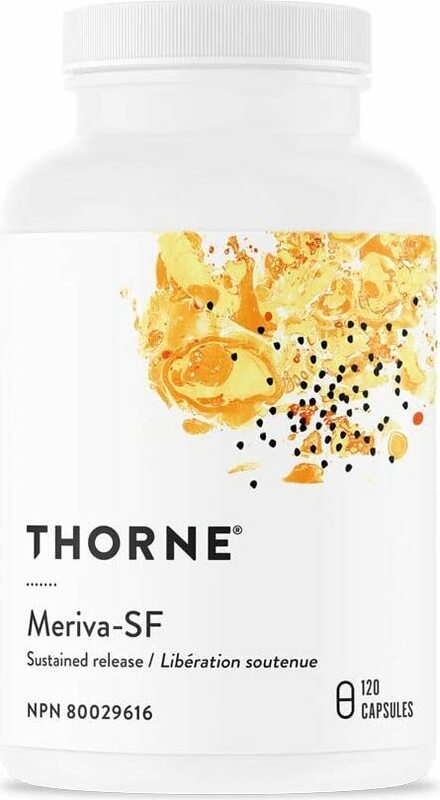 Meriva curcumin phytosome, the most clinically studied curcumin on the market, is a unique curcumin extract with significantly better absorption than other curcumin extracts. In fact, a human study demonstrated 29-times greater absorption for Meriva than with ordinary curcumin. Curcumin is an antioxidant flavonoid that helps maintain the body's normal inflammatory response through optimization of cytokine production. Meriva's superior curcumin absorption is attributable to a unique formula that contains three curcuminoids (95% curcuminoid material) and is based on Indena S.p.A.'s proprietary "phytosome" technology. A phytosome is a plant extract bound to a phospholipid (from sunflower oil in the case of Meriva-SF). Phospholipids are essential components of all human cells; and although the body makes phospholipids, such as phosphatidylcholine and phosphatidylserine, phospholipids can also be obtained from food or nutritional supplements. When taken orally, phospholipids are very well absorbed. 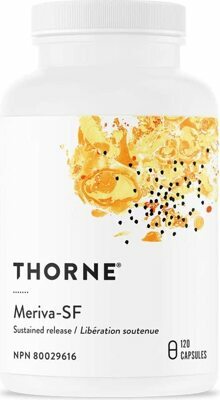 The proprietary phytosome technology utilized in Meriva-SF attaches a curcumin extract to a phospholipid, which optimizes the curcumin's absorption. Meriva supplementation results in higher plasma concentrations of curcumin from a much smaller amount than with ordinary curcumin supplementation.